So today i will be sharing with you guys our official Android app which we have been working on for a while with many trials and error and today i would be sharing with you our app which makes it easier for you to get all our post updates, right on your phone which makes it very easy for you to reach us and get all alerts on all our new updates. Lightweight: The size of the app is very small so are the components which make it close to being impossible for the app to cause lag or your phone to freeze while on the app or out of the app. Just in case you are experiencing lags on your phone or your phone does freeze up during usage do see the post below. All You Need To Know About Rooting. Post Notification Enabled: You can now get all new post notifications via our app. If you have notification disabled, do enable it to see all updates as soon as they come. 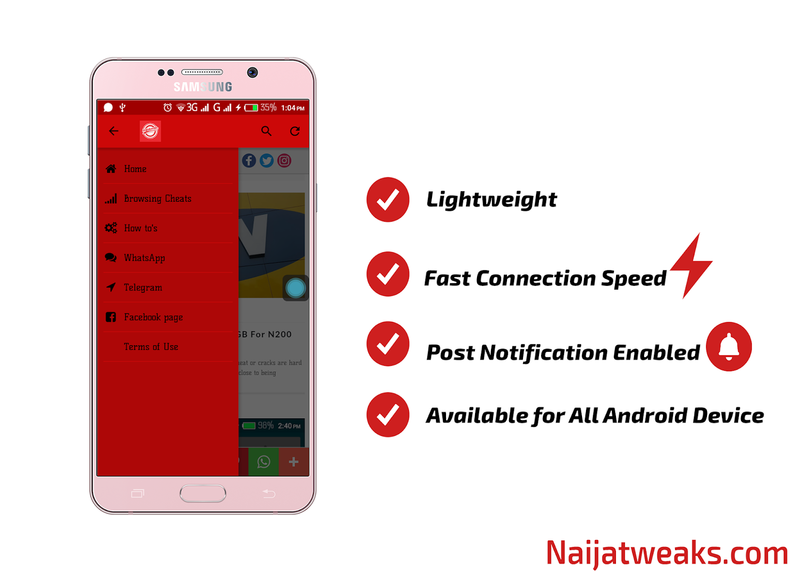 Here are the latest updates available for Naijatweaks Mobile. Do you have a suggestion concerning this post? please do leave your comment they are well appreciated.